This is the first in a series of books in which one of the most influential of contemporary art theorists revised from within the conceptions underlying the history of art. The author's basic idea is that the rigor of linear perspective cannot encompass all of visual experience and that it could be said to generate an oppositional factor with which it interacts dialectically: the cloud.On a literal level, this could be represented by the absence of the sky, as in Brunelleschi's legendary first experiments with panels using perspective. Or it could be the vaporous swathes that Correggio uses to mediate between the viewer on earth and the heavenly prospect in his frescoed domes at Parma. Insofar as the cloud is a semiotic operator, interacting with the linear order of perspective, it also becomes a dynamic agent facilitating the creation of new types of pictorial space. (Damisch puts the signifer cloud between slashes to indicate that he deals with clouds as signs instead of realistic elements. )This way of looking at the history of painting is especially fruitful for the Renaissance and Baroque periods, but it is also valuable for looking at such junctures as the nineteenth century. 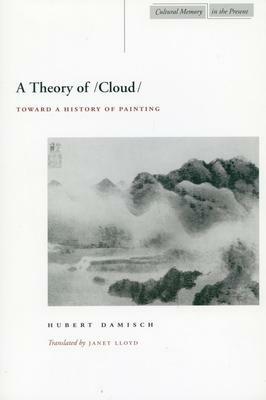 For example, Damisch invokes Ruskin and Turner, who carry out both in theory and in practice a revision of the conditions of appearances of the cloud as a landscape feature. Even for the twentieth century, he has illuminating things to say about how his reading of cloud applies to the painters Leger and Batthus. In short, Damisch achieves a brilliant and systematic demonstration of a concept of semiotic interaction that touches some of the most crucial features of the Western art tradition. This is the first in a series of books in which one of the most influential of contemporary art theorists revised from within the conceptions underlying the history of art. The author's basic idea is that the rigor of linear perspective cannot encompass all of visual experience and that it could be said to generate an oppositional factor with which it interacts dialectically: the cloud.